The current standard maximum deposit insurance amount is $250,000. The FDIC insurance coverage limit applies per depositor, per insured depository institution for each account ownership category. Consumers and bankers can find additional official information regarding FDIC’s deposit insurance coverage through the use of the FDIC’s Electronic Deposit Insurance Estimator (EDIE) and deposit insurance publications located on the FDIC’s website "Are My Deposits Insured?" We want to help your business manage its funds. In addition to helping you with your checking account needs, we can show you how best to leverage your cash reserves, both short-term and long-term. We can work with you to find the best place to park the cash that you don't need immediately. Build your balances with our FDIC-insured basic business savings account. 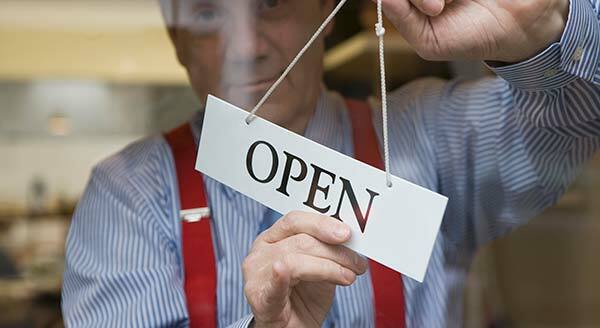 You can even link it to your business checking account to provide overdraft protection. Our CDs offer competitive fixed interest rates and the security of being FDIC-insured. Your business may benefit from our multiple CD products, especially if you have cash reserves that you may not need to access in the near future. A great way to save but with the convenience of a checking account! A $2,500.00 minimum deposit is required to open this account and earn the Money Market rate of interest. If the account falls below $2,500.00, you will earn NOW Account interest rate. You must maintain a $500.00 minimum balance to avoid a monthly service charge. Check writing and transaction limitations apply. Contact one of our friendly, knowledgeable staff to inquire about current rates and additional details. Business owners seem to like the way we build and maintain relationships. In rare cases that businesses move their checking or savings accounts elsewhere, they most often return to us. That's why we say ¬ for businesses as well as consumers - we're the bank to start with and the bank to stay with! Call us for details on any of our business checking and savings accounts.